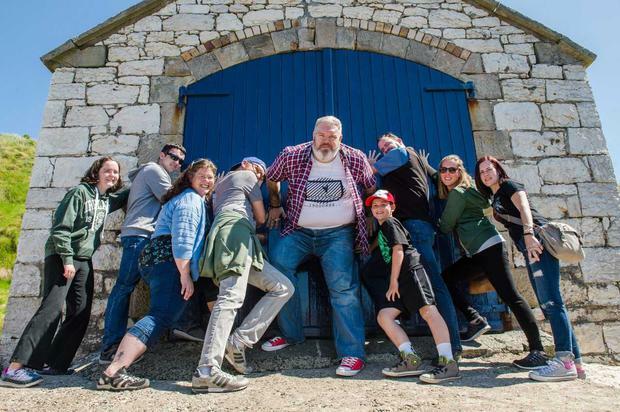 The Northern Irish actor challenged the group to break through a door against him White Walker style at Ballintoy Harbour which features as part of the Iron Islands of House Greyjoy in the hit HBO series. The location is on the Causeway Coastal Route near the Giant's Causeway, which is the top UK Game of Thrones tour with TripAdvisor. In the five years since the show launched, tours have risen by 2270 per cent at some locations across Europe. Antrim, which provides the backdrop of King’s Landing, King's Road, Winterfell, The Iron Islands, Riverrun, the Twins, Slaver’s Bay and Dorne, has increased by 229% in search traffic on TripAdvisor since the end of 2012.